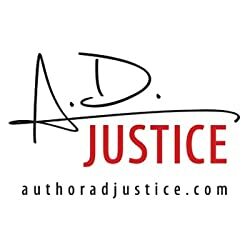 A.D. Justice is the bestselling author of romance and mystery. Her novels are complex and real with several twists and turns that will keep you turning the pages until you've devoured the whole book! Married with children, A.D. enjoys being a self-published author. Enjoy more of A.D. Justice's titles by following her BookGorilla Author Page. Please enter your email address and click the Follow button to follow A.D. Justice! This box set contains all five full-length books of the Steele Securit Series plus a bonus short. This short story is intented to be an introduction to the main characters found in Crazy Maybe and Crazy Baby for new readers, or a bonus scene for readers who already know and love them. It also contains the first two chapters of Crazy Maybe as a sample for your enjoyment. This short story is for mature readers only. Two brothers. Best friends. Immortals.One woman – the subject of their mutual obsession, but for very different reasons.The end result will change the New York City vampire clan forever. Immortals can hold a grudge for a very long time.